As peace and justice studies educators from around the country converge on James Madison University for the Oct. 15-17 Peace and Justice Studies Conference, a large contingent of faculty and alumni of Eastern Mennonite University (EMU) are in final preparations. Professor Catherine Barnes offers a keynote address and more than 20 Eastern Mennonite University other faculty and alumni are also slated to present or speak on panels. The conference is hosted by the Peace and Justice Studies Association (PJSA), dedicated to bringing together academics, K-12 teachers, and grassroots activists to explore alternatives to violence and share visions and strategies for peacebuilding, social justice and social change. Those “distinctive contributions” include both conceptual and practical dimensions to the fields of restorative justice, restorative justice in education, trauma awareness, peace and justice studies pedagogy and the pedagogy of practice within the field, experiential education, reflective pedagogy and the arts and peacebuilding. “Deliberative dialogue” is a process that can empower participants to foster collaborative relationships and perceive the underlying mental models that maintain the status quo with the goal of fostering new approaches to complex challenges. For the past seven years, Barnes has been working in support of transitional processes in Burma/Myanmar. She has worked and lived in more than 30 countries as a teacher, trainer, researcher, policy advocate and consultant with the focus of helping civil society activists, diplomats and politicians, and armed groups to build their capacities for preventing violence and using conflict as an opportunity for addressing the underlying causes giving rise to grievance. Barnes has worked with numerous peacebuilding and human rights organizations, including Conciliation Resources and Minority Rights Group International. 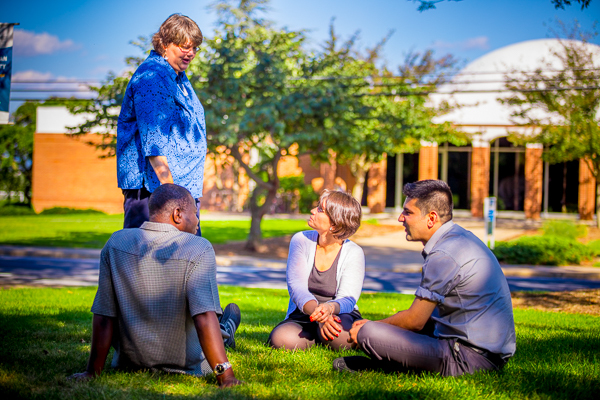 EMU’s missional emphasis on peace and justice guides its educators, many of whom are sharing their pedagogical practices and discussing ways to educate future peacebuilders in the “educator’s strand,” designed for personal and professional development of K-12 teachers, undergraduate and community educators. Themes include pedagogy, curriculum development, building a culture of peace in your classroom or school, alternative education programs, and restorative practices. On the undergraduate level, professor Gloria Rhodes, who leads the peace and development major in the department of applied social sciences, leads a roundtable discussion for faculty and administrators of peace and justice studies programs. Amy Knorr, the peacebuilding practice coordinator with CJP’s graduate program, joins professor Dave Brubaker and graduate students in a session on mentoring student peacebuilders and the importance of those mentors being experienced practitioners themselves. 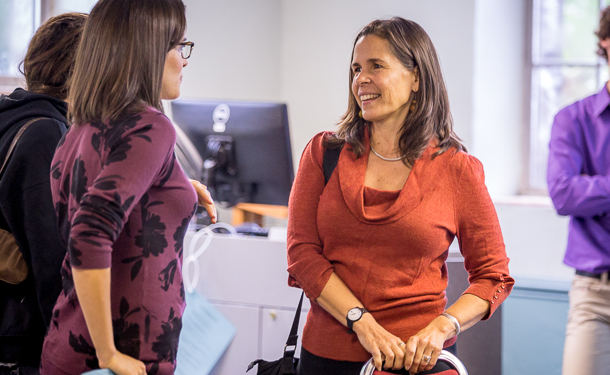 Restorative practices are highlighted by professors Lori Leaman and Judy Mullet in a “relational justice” workshop on how mindful teachers can prepare and prime “their best selves” in preparation for inviting students into models of restorative justice. Mullet also joins Jean Hawk, professor of education at Bridgewater College, for a workshop on relational literacy in multicultural K-12 classrooms. Cheree Hammond, professor of counseling, leads educators in a workshop on contemplative pedagogies and the cultivation of a just and peaceful self. The conference offers an opportunity to highlight EMU’s unique peacebuilding initiatives. 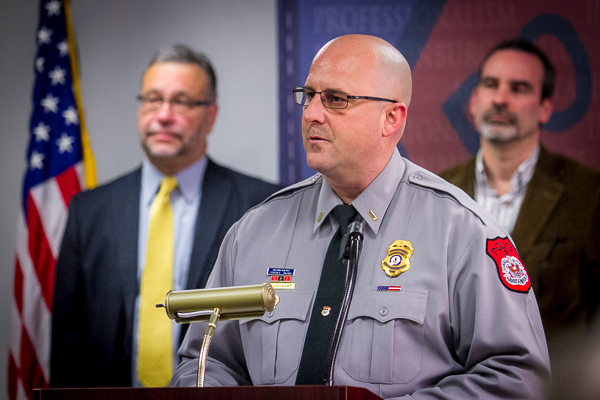 The new community restorative justice program in Harrisonburg brings together practitioners from EMU and JMU, as well as local law enforcement. Collaborators in the initiative will speak: Carl Stauffer, co-director of the Zehr Institute for Restorative Justice; education professor Kathy Evans; Harrisonburg Police Department lieutenant Kurt Boshart; Sue Praill, restorative justice coordinator at the Fairfield Center; and Josh Bacon, director of JMU’s Office of Student Accountability and Restorative Practices. Another definitive CJP program, STAR (Strategies for Trauma Awareness and Resilience), will be introduced in a workshop by professor Elaine Zook Barge and program director Kathryn Mansfield. Inside Out playback theater troupe co-founders Heidi Winters Vogel and Roger Foster lead a workshop on playback theater as qualitative research. Vogel is a professor of theater; Foster instructs in the applied social sciences department and with CJP. The applied theater method invites dialogue and healing through community-building, as audience members share stories and watch as they are “played back” on the stage. Among other settings, Inside Out has performed on campus with college students returning from cross-culturals, among international peacebuilders and in workshops for and research about trauma and sexual abuse survivors. Carolyn Stauffer, professor of applied social sciences, speaks about social capital networks as forms of resistance among battered undocumented Latinas, sharing just one strand of a interdisciplinary three-year research project. Johonna Turner, assistant professor of restorative justice and peacebuilding, leads a discussion on the film “Vision is Our Power,” a film about black youth ending violence in all its forms. The documentary was created by four young filmmakers participating in a multi-year arts and leadership Vision to Peace Project led by Turner; the film debuted in 2008 at the National Museum of Women in the Arts. Andrew White, professor of English, presents on life narratives and identity issues in the Balkans with his wife Daria, a CJP graduate who teaches in the counseling department at JMU. The two lived and taught in the Balkans. Christian Early, professor of philosophy and theology, explores the recent work in philosophy and science on theory of emotion. Tim Seidel, a new faculty member coming to EMU next semester after concluding his PhD research at American University, participates several panels, with a diversity of topics including transnational solidarity and police brutality and racism in the contested areas of Palestine and Ferguson, Missouri. Seidel is a board member of PJSA. Among the alumni presenting: Vesna Hart, Sue Praill and Tom Brenneman join a panel discussion on justice and the nature of human nature. Ted Swartz presents the satire “I’d Like to Buy an Enemy,” with Tim Ruebke and JMU professor of theater Ingrid DeSanctis. View the full schedule of events. Registration fees will be covered for attendees from the Shenandoah Valley who are affiliated with or sponsored by Bridgewater College, James Madison University, Eastern Mennonite University, or Mary Baldwin College. For more information, click here. It is an exciting conference for CJP graduates, faculties and others.